Toshihiko is yet another simple Node.js ORM with cache layer. It only support MySQL so far. Toshihiko is a simple ORM, with cache layer and high performance query methods. For performance, use Toshihiko as simple as you can. I believe that human being is much more reliable than machines. If not, try hard to make yourself more reliable than them! So don't let ORM do too much things, like creating table. If you're Touhou fans, you may understand me. 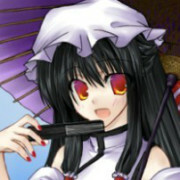 Toshihiko is a character in 'Touhou Warring States Nights' (TWSN) and TWSN is a collaborative content creation of Touhou.